The UK has fewer doctors per head of population than most other countries in the Organisation for Economic Co-operation and Development (OECD), figures published by the organisation show. 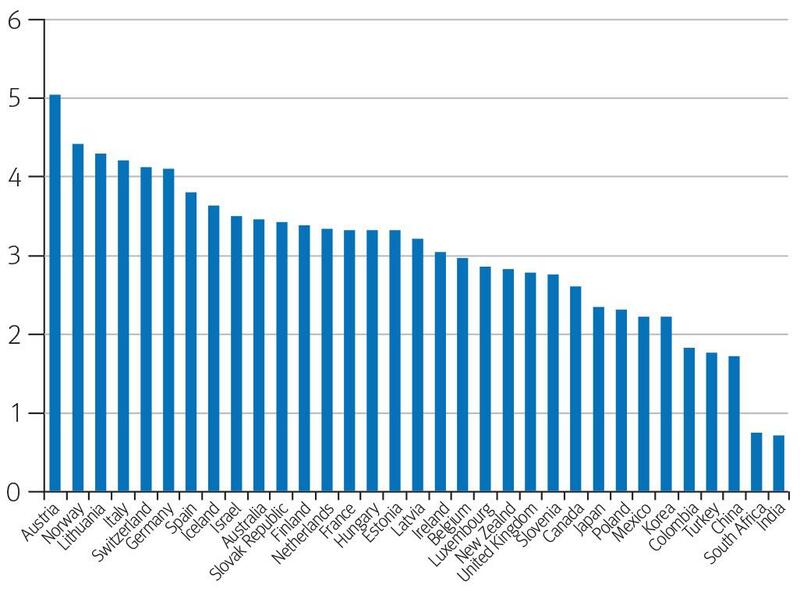 Out of the 33 countries for which the OECD has provided data, the UK ranks 22nd (fig 1⇓). The only European countries with fewer doctors per head of population are Poland and Slovenia. According to the figures, the UK has 2.8 doctors for every 1000 people. The average across the 33 countries is 3.0. Austria has 5.1 doctors for every 1000 people. Germany, Italy, Lithuania, Norway, and Switzerland all have more than 4 doctors for every 1000 people. Since 1960, however, the number of doctors per head of population in the UK has risen more than five times faster than the rate of growth of the population as a whole (fig 2⇓). 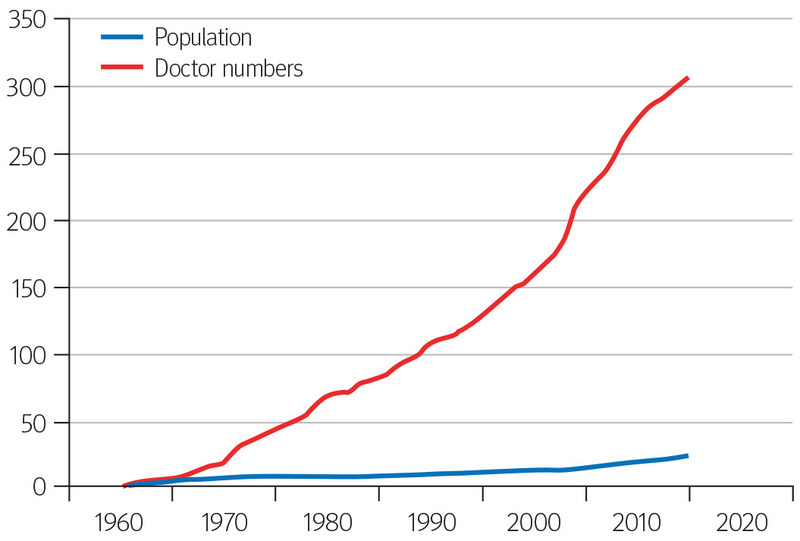 The number of doctors per head of population has more than tripled since 1960 when there were 0.85 doctors for every 1000 people. This equates to a cumulative rise of 307% and an average annual increase of around 2.2%. Over the same period, the UK population has grown by 23% cumulatively, equivalent to an average annual increase of 0.38% (fig 3⇓). There are 35 member countries in the OECD. The organisation acts as a forum to allow governments to work together to share experiences and seek solutions to common problems.